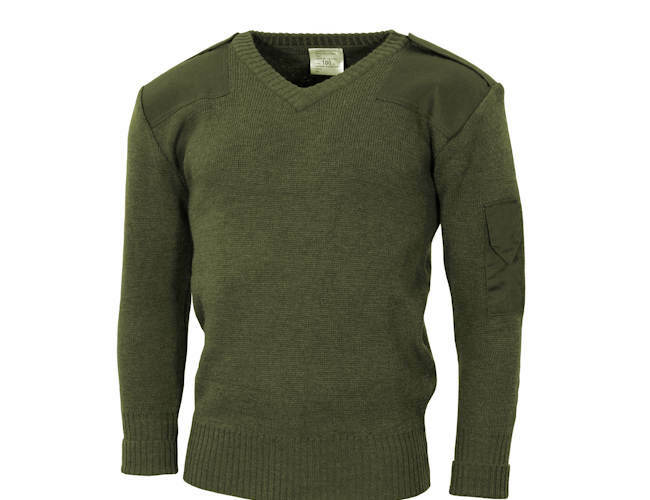 Army surplus commando wool pullover.Tremendous pullover in 100 percent wool and in grade one. Army surplus pullover. 100% wool. used grade 1 condition.